Online stream anime episodes, Watch Naruto Shippuuden Episode 144 English Subbed online and free episodes. Anime Episode guide, Chapter Naruto Shippuuden Episode 144 English Subbed Wanderer On a cliff a young man, a girl, and her servant are attacked by a group of ninja. The servant sends word to the Hidden Leaf Village for aid and the young man, Utakata, leaves with the girl, Hotaru. 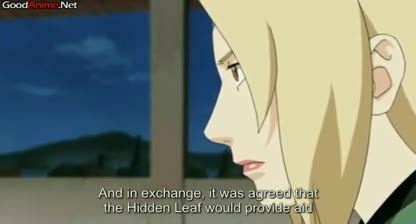 Back in the Leaf, Tsunade tells Shizune of a clan named the Tsuchigumo and an elder named En no Gyoja who developed a forbidden jutsu, which the Leaf are to prevent the theft of. Team 7 and Yamato arrive to assist Utakata and Hotaru, but Utakata leaves immediately with faith that they will assist her.